Following its critically acclaimed debut performance of Three & Four Quarters last year, HeadSpaceDance returns to the Royal Opera House’s Linbury Studio Theatre with If Play is Play… a new programme of dance theatre, commissioned by the Royal Opera House. 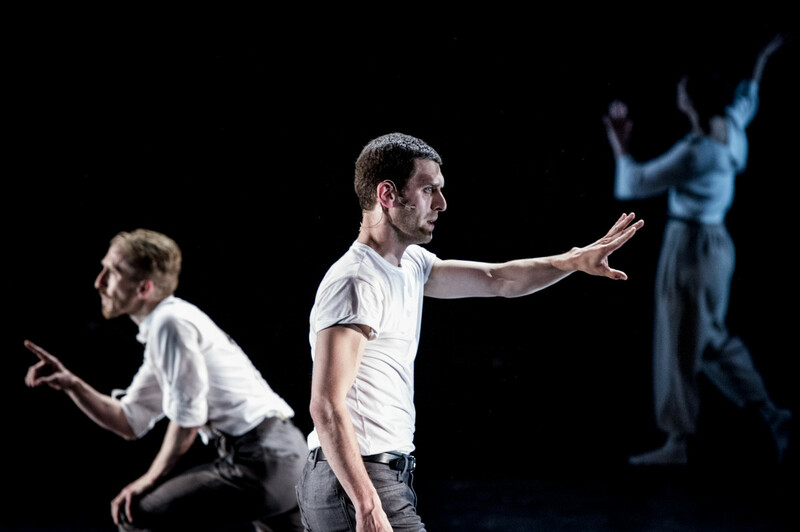 Directed and curated by Charlotte Broom and Christopher Akrill, the evening’s programme includes three UK premieres from playwright and theatre director, Matthew Dunster; Associate Choreographer at Nederlands Dans Theater, Johan Inger; and Artistic Director of Protein Dance, Luca Silvestrini. 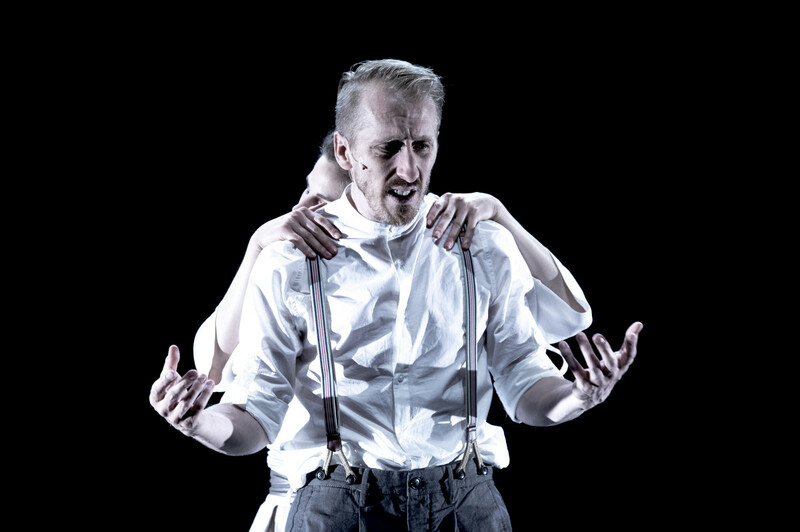 Matthew Dunster’s work The Days The Nights The Wounds and The Night asks the dancers to consider what it is to be a dancer in a city like London and how it affects the rest of their lives. These ideas are explored through an innovative choreographic process using psychological techniques and theatrical game playing. Luca Silvestrini’s new work Before the Interval questions the role of performers and their relationship to the stage. With a focus on future ambitions, audience expectations and a missing cast member, the piece marks the end of the first half of the evening and the beginning of the second. 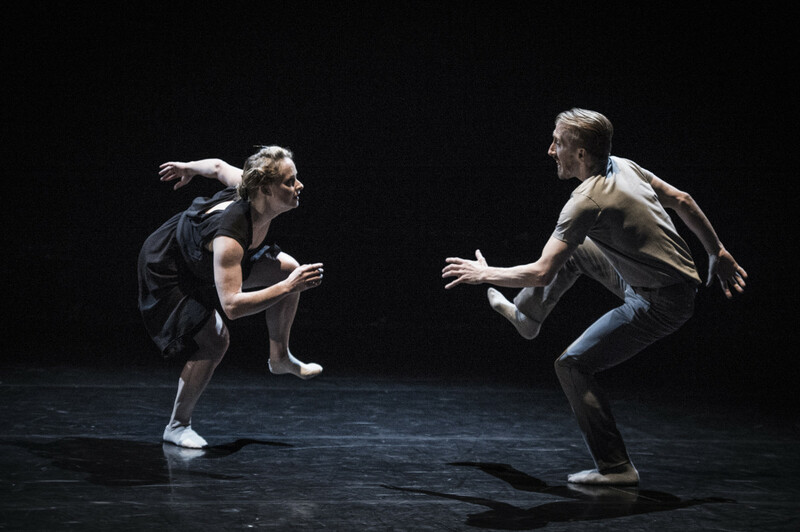 Johan Inger’s new creation ‘Two’ for HeadSpaceDance completes the evenings programme. Dance Award for Best Female Performance Modern for her role in Witch-Hunt for Bern Ballet; Jonathan Goddard, whose credits include performances with Rambert, Richard Alston Dance Company and most recently in Mark Bruce Company’s Dracula; Gemma Nixon, who has performed with Rambert, Russell Maliphant Company and most recently with Company Chameleon. Christopher Akrill completes the line-up in the evening’s programme. After training at the Northern Ballet School in Manchester and early work at the Scottish Ballet, Christopher Akrill danced in the Northern Ballet Theatre, Malmö Ballet, Hannover Ballet and Deutsche Oper Am Rhein in Dusseldorf where he worked with choreographers Gillian Lynne, Hans Van Manen, Youri Vamos, Christopher Gable, Dennis Wayne, Nanette Glushak and Oleg Vinagradov and danced lead roles including Gypsy inCarmen by Mats Ek (Dusseldorf), Mercutio inRomeo and Juliet (NBT) Ebenezer Scrooge (NBT), Carabos in Sleeping Beauty(Hannover) and Mercutio and Benvolio in Romeo and Juliet (Dusseldorf, Malmö). In 1998 Chris joined Cullberg Ballet in Sweden. During this time he danced several leading roles, including Prince Siegfried in Mats Ek’s Swan Lake and Presenter in Alexander Ekman’s Study of Entertainment, and worked with choreographers Mats Ek, Jiri Kylian, Ohad Naharin, Crystal Pite, Alexander Ekman, Stijn Cellis, Johan Inger, Didy Veldman, Rui Horta and Jens Östberg. During a 2005-08 leave of absence from Cullberg Chris worked freelance in London, performing leading roles of Captain Alving in Ibsen’s Ghosts by Cathy Marston (ROH2) and Pinocchio in Will Tuckett’s Pinocchio (ROH2) before going on to understudy and play the Emcee in Rufus Norris’s acclaimed production Cabaret, choreographed by Javier De Frutos (Lyric Theatre). Chris returned to Sweden in 2008 and in 2010, his final year at Cullberg, received two awards: The Christer Holgersons award from the Carina Ari Memorial Foundation, and the Riksteatern Award for his artistic contributions and excellence in dance. Chris is now enjoying being based back in the UK working as a freelancer in both dance and theatre, and has since performed in The Most Incredible Thing directed by Javier De Frutos (Sadlers Wells) Dr Dee, the modern Opera directed by Rufus Norris and written by Damon Albarn (Manchester International Festival and ENO) and also played Lucky in Samuel Beckett’s play ‘Waiting for Godot’ directed by William Oldroyd in Munich, and most recently Joe Wright’s film Anna Karenina. Clemmie Joined HeadSpaceDance for their first program Three and Four Quarters. As a freelance dancer she is also a part of the new Movement collective, joining them in the summer of 2013. She was recently nominated for The National Dance Critics Circle Award 2014 (outstanding female Performance) for her performance in Bern Ballet’s With Hunt choreographed by Cathy Marston. Also an Olivier Award 2014 (outstanding Achievement in Dance) for the same performance. Credits include: Mole in Wind In The a Willows (West End, Duchess Theatre and Linbury ROH2); Nest (New Movement collective); Witch Hunt (Bern Ballet at the Linbury); Dr Dee (ENO, London and Manchester International Festival); The Princess in The Most Incredible Thing (Sadler’s Wells 2011/12 and BBC4 ); Two Gentlemen of Verona (Royal & Derngate); Mojo (Theatre Rites, Barbican); Pleasures Progress (ROH2); Aida (Royal Opera House); Eternal Damnation to Sancho and Sanchez (Sadler’s Wells); Swan Trilogy(Ballet Graz); Cattle Call (Phoenix Dance Theatre); Cabaret (Lyric Theatre, West End);!Carousel (Chichester Festival Theatre); Ghosts and Pinocchio both at ROH2, Anatomy of a Storyteller (ROH2/ARC); and Seasons 2003/4 for Rambert Dance Company, and 2007/8 for Phoenix Dance Theatre. 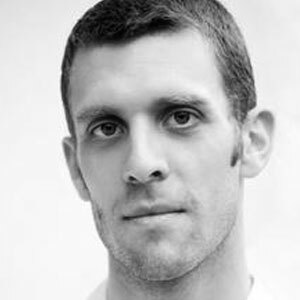 Jonathan is a professional dance artist and choreographer who has worked for many major British dance companies including, Richard Alston Dance Company, Scottish Dance Theatre and Rambert Dance Company.In 2007 He was the first contemporary dancer to be nominated in the dance category of the South Bank Show / Times Newspaper Breakthrough Award, in 2008 he was nominated for an Olivier Award for Outstanding Achievement in Dance and went on to become the first contemporary dancer to win the Critics Circle National Dance Award for Best Male Dancer. He was nominated twice more as Best Male Dancer by the Critics Circle in 2011 and 2012. In 2008 Jonathan founded an education project DanceSpinner: a tool which is now being used by over 200 UK schools to explore and create choreography. Since leaving Rambert in 2012, Jonathan has become a part time tutor at the Architectural Association and is founder member of both New Movement Collective and Goddard Nixon – an acclaimed choreographic collaboration with fellow Ex- Rambert dancer Gemma Nixon. 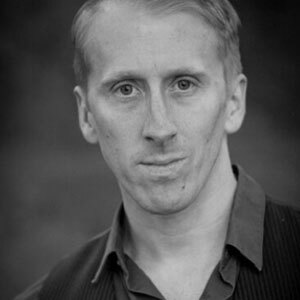 As a Movement Director he has worked recently for the National Theatre on the play Strange Interlude and as dance associate on Sam Mendes’ Charlie and the Chocolate Factory. Gemma began her professional career dancing with Scottish Dance Theatre, under the direction of Janet Smith. As an actor, she played the role Sandy in “Monkey”, a collaboration between Dundee Rep Ensemble and SDT. In 2006 Gemma joined Rambert Dance Company where she danced and created several main roles with various choreographers including the Mother in Christopher Bruce’s “Hush” and Blanch De Bois in Javier De Frutos’s “Elysian Fields”. In October 2012 Gemma toured the USA with the Russell Maliphant Company performing “Afterlight (Part Two)”. She then joined Company Chameleon in November 2012 and in April 2013 performed with Mad Dogs Dance Theatre. Gemma is a founding member of both Goddard Nixon (a choreographic collaboration with Jonathan Goddard) and New Movement Collective. In 2013 NMC was nominated for Best Independent Company at the Critics’ Circle National Dance Awards. Born in Jesi, Italy, Luca graduated in Performing Arts at Bologna University. In 1995, he moved to London to complete his dance training at Laban. His choreography dates from 1997, when he co-founded Protein Dance. As its Artistic Director he is known for idiosyncratic dance theatre work provoked by deep connections with the everyday, recognised by Protein being awarded Best Independent Company at the National Dance Awards 2011. Former NDT 1 dancer Johan Inger (Stockholm, 1967) has been an associate choreographer at NDT since 2009. In 1995 he made his first choreography for NDT 2. The resultingMellantid marked his official debut as a choreographer and was immediately a resounding success. This season Inger created the new work B.R.I.S.A. for NDT 2 in Programme B (premiere March 6). From Manchester and trained in music at Salford University, lighting and design at RADA and at the Yale School of Drama, and in architecture at the University of North London. Lighting for dance includes: ROMEO & JULIA (Royal Ballet of Flanders), BALLO DELLA REGINA, LES LUTINS, THE LESSON, RENARD, NON LINEAR INTERACTIONS, TRIP-TRAC, LEIDER, CONSOLATIONS & LIEBERSTRAUM, TITIAN METAMORPHOSIS, RAVENGIRL (Royal Ballet); Fourteen works for Cathy Marston/Royal Ballet/Bern Ballet; SEA OF TROUBLES (English National Ballet); IN A MINOR KEY (MIkhailovsky Ballet); THREE & FOUR QUARTERS (Headspace Dance Company) & more. Ian’s recent credits include, A Taste Of Honey, Emil and the Detectives, Port, This House and The Curious Incident of the Dog in the Night-Time (Olivier Award) all at the National Theatre. Other recent shows are: The Weir at the Geilgud; The Machine at Manchester International Festival; Roots at the Donmar; To Kill A Mockingbird at Regent’s Park; Before the Party at the Almeida; The River and Hero at the Royal Court. Ian has been with the Autograph design team since 2009. 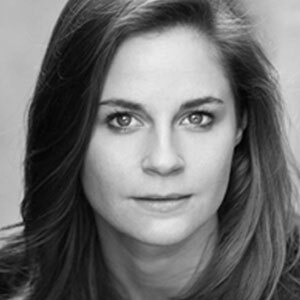 Sabine began her career styling music videos & commercials before moving across into theatre. As a Costume Design Supervisor since 2001, has worked on productions for companies such as The Royal Opera, Royal Ballet, National Theatre, Royal Shakespeare Company, Sadler’s Wells, English National Opera, Old Vic Theatre and Almeida Theatre. “If Play Is Play” marks Sabines design debut in dance.